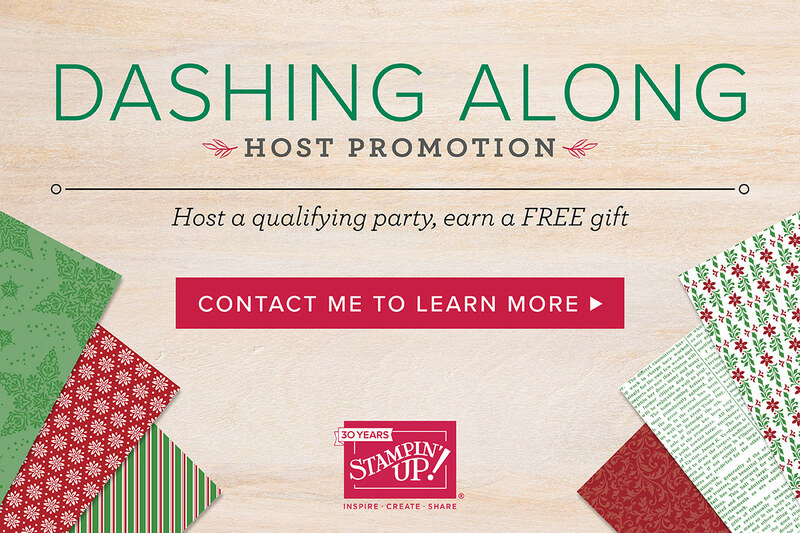 Hosting a holiday catalogue event is always fun – and it’s even more delightful with our exciting Dashing Along Host Promotion. If you host a party with $400 in sales from 1–30 September, you will earn our FREE, exclusive Dashing Along Designer Series Paper as well as the usual host rewards! If you’d love to get your hands on this gorgeous exclusive Designer Series Paper, contact me on 0403 305 785 (or email me) today to book your party or workshop for September! How was the Dashing Along Designer Series Paper created? To create the exclusive Dashing Along Designer Series Paper, Stampin’ Up! used a mix of old favourites and new patterns to bring you beautiful, traditional Christmas paper. This collection of patterns has an eclectic feel and is perfect for layering, and while the newsprint design isn’t Christmas-themed, they selected it for its versatility and popularity. This Designer Series Paper is only available for a limited time! In order to qualify, the event merchandise total must reach $400 (before shipping and handling). If you’d love to get your hands on this gorgeous exclusive Designer Series Paper, contact me on 0403 305 785 today to book your party or workshop for September!